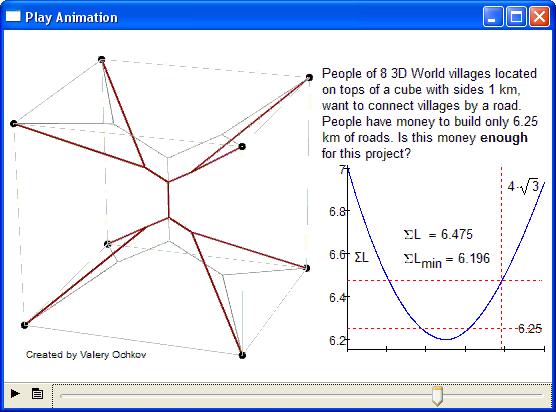 Four villages are located at the vertices of a square. How can you lay the minimum amount of road so that all of villages are connected? For the sake of easy communication let's say the square is 1 mile by 1 mile. The immediate thought of putting a road on each of the four sides of the square, length 4 miles, can immediately be improved by only paving 3 of the sides. This still guarantees that you can still reach any of the villages, even if you have to go the long way around. Since the total height is 1 mile and there is a length x at the top and the bottom, that only leaves a length of 1-2x for the middle portion. The diagonal length I have got from Pythagorus. Since the total length is just made up of four identical diagonals and the straight portion, we can put this all together and simplify it slightly using some surd manipulation. 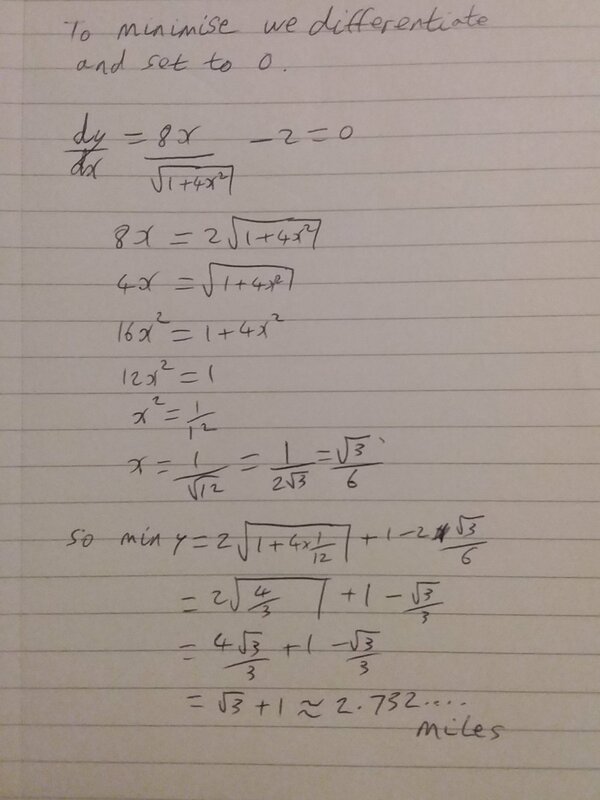 Some second year of A Level calculus knowledge is needed here, but just accept the result of 2.732 miles if you haven't yet learned the chain rule. 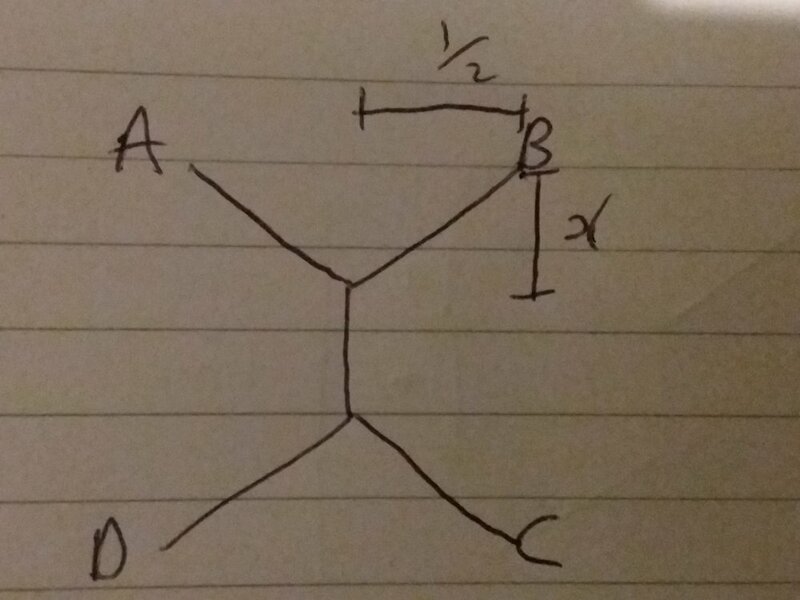 As a pleasing result of this, the angle of slope for the bent lines is exactly 60 degrees ( as opposed to the 45 degrees of the previous best answer: the diagonal cross. It is worth noting that this is the optimal solution. These structures are called Steiner Trees and they have lots of variations. 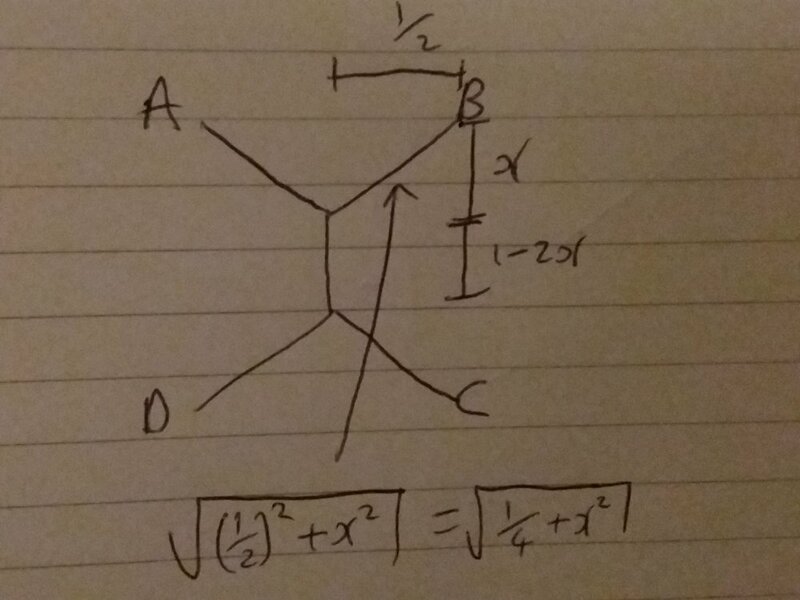 Adding more points around in a polygon is a fun launching point, but one extension which you may be able to follow through if you know your chain rule is the three dimensional equivalent. Eight vertices form a cube: find the minimum line connect them all together. There is a picture of the idea below, but it is probably more fun to attempt it blind.